This article explores the factors that account for variation in remittance flows. Why do some immigrants send much more money to their country of origin than others? This is a question that, in the aggregate, has implications for national economies and migration-related policy. The analysis departs from the classic studies of remittances and considers how the context of contemporary migration in Europe is likely to affect remittance patterns. Possible influences on remittance-sending are disaggregated into nine domains, and each is discussed with reference to theoretical arguments and empirical findings. The temporal aspects of remittance-sending are discussed separately. The final section of the article considers implications of the micro-level analysis for aggregate remittance flows and policy. It is argued that the focus on altruism versus self-interest in the literature has partly diverted attention from explaining the actual variation that is important in a policy perspective. 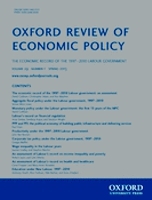 Carling, Jørgen (2008) ‘The determinants of migrant remittances.’ Oxford Review of Economic Policy, 24(3): 582-599.